Seats not together Single TicketsAny Available Single (not together) Ticket. Adjacent Seats available! Best AvailableAny Available Ticket. Adjacent Seats available! 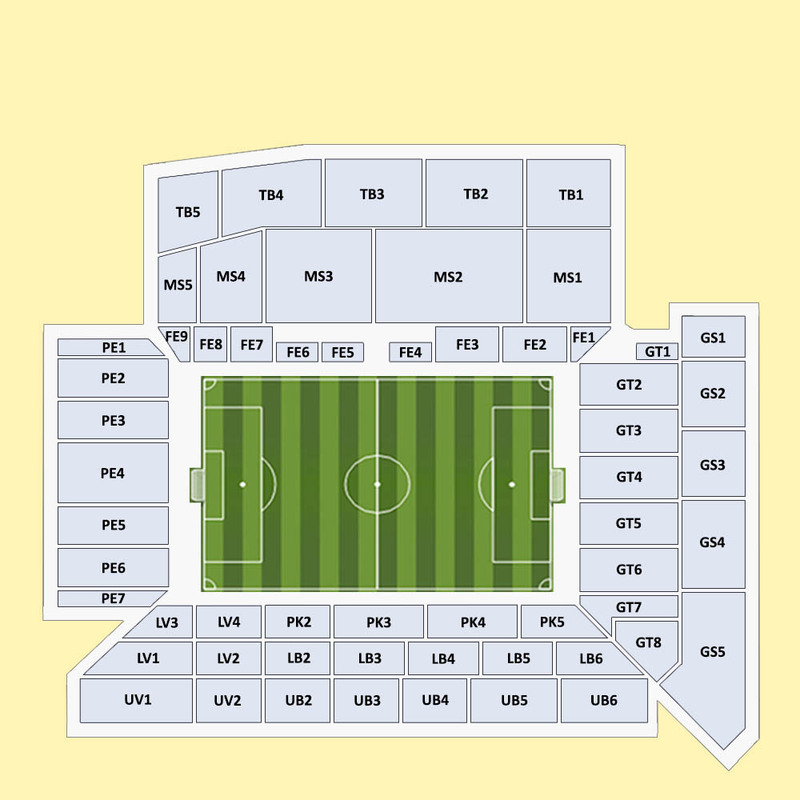 Category 2Short Side (Behind The Goal) Lower Tickets. Adjacent Seats available! Category 1Long Side Upper Tickets. Adjacent Seats available! CAT1 GoldLongside CENTRAL tickets. Adjacent Seats available! CAT1 PlatinumFirst Floor Tickets. Adjacent Seats available! CAT1 CrystalLongside first floor tickets. Adjacent Seats available! CAT1 DiamondFirst floor CENTRAL (Best view) tickets. Shipping within 3-5 days Prior to the event. Service Fee: Charged per ticket and is different for each ticket sale depending on demand and supply for the event. We make sure that after all surcharges our final prices are the most competitive in the market. Travel agents? corporate partners? If you wish to purchase more than 20 tickets, contact our sales team.